Would you let your boss implant a microchip in you instead of giving you an ID card? A company based in Stockholm, Sweden, is turning its employees into “cyborgs” using a microchip implant about the size of a grain of rice. Though not the first time such microchip implants have been used, this program is the first example of such implants being made available to a company’s employees on this sort of level. “The biggest benefit I think is convenience,” Patrick Mesterton, co-founder and CEO of Epicenter, told the Associated Press. Epicenter provides network and office space to budding digital startups, and it is currently home to more than 100 companies and about 2,000 workers. The company calls itself “Stockholm’s first digital House of Innovation,” and it only started implanting workers in January 2015. The microchips, which are implanted in the hands of employees and startup members, function as swipe cards. “It basically replaces a lot of things you have, other communication devices, whether it be credit cards or keys,” Mesterton said, who demoed opening a door just by waving his hand near it. The implant doesn’t just open doors, though. Epicenter’s “cyborg” employees can operate their printers with it or even order smoothies with a wave of their hands. The devices aren’t mandatory, but “being chipped” has become popular amongst Epicenter’s employees, with more than 150 now implanted with the devices. The company even hosts monthly events where participants can get the implants for free, as well as parties to celebrate those who got implanted. An obvious concern is security and privacy. “Of course, putting things into your body is quite a big step to do, and it was even for me at first,” Mesterton said, recalling his initial doubts about the implants, which carry information that can be transmitted to other devices via electromagnetic waves, but cannot receive information themselves. “The data that you could possibly get from a chip that is embedded in your body is a lot different from the data that you can get from a smartphone,” explained Ben Libberton, a microbiologist at Stockholm’s Karolinska Institute. Such devices, he said, can be exploited by hackers to gain huge amounts of information. “Conceptually you could get data about your health, you could get data about your whereabouts, how often you’re working, how long you’re working, if you’re taking toilet breaks and things like that,” Libberton added. The more sophisticated a microchip is, the bigger the ethical dilemmas that can come with them. 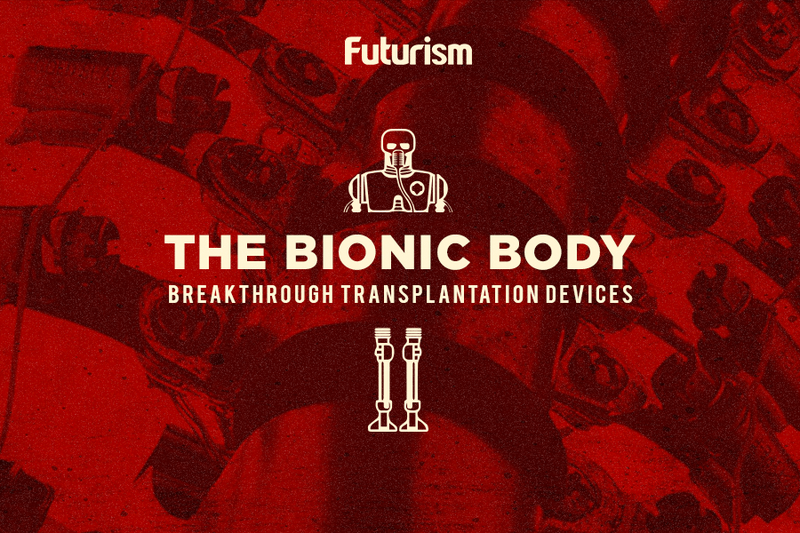 Indeed, devices that augment the human body, whether through implants or other means, have been turning people into cyborgs for some time now. Some call the trend biohacking, and it can potentially help us do much more than simply navigate an office environment. The tech could be used to monitor health conditions or to treat neurodegenerative diseases. Elon Musk is working on his own version of such a device with a soon-to-be-launched company, Neuralink. As one Epicenter employee said while she was being implanted, “I want to be part of the future,” and that may just mean becoming a cyborg.